The Constitution of India outlines promise of securing to all the citizens social, economic and political justice. Article 39 A of the Constitution of India provides for free legal aid to the poor and weaker sections of the society, to promote justice on the basis of equal opportunity. 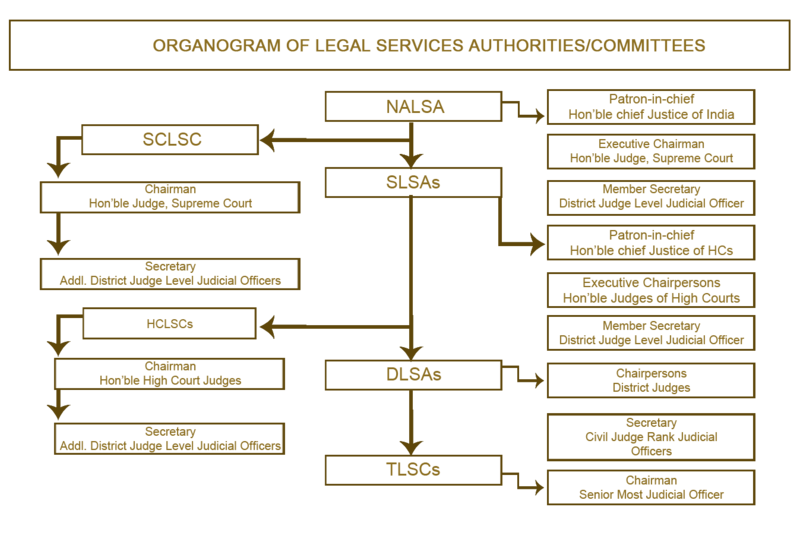 Rajasthan State Legal Service Authority is an institution created to pursue these objectives. In 1987, the Legal Services Authorities Act was enacted by the Parliament, which came into force on 9th November, 1995. This has led to the setting up of Legal Services Authorities at the National, State and District levels along with Legal Services Committees at the Supreme Court, High Court and the Taluka levels. The Government of Rajasthan in consultation with the Chief Justice of the High Court, framed the Rajasthan State Legal Services Authority Rules, 1995, and later Regulations, 1999 – to give effect to the provision of the Legal Services Authority Act , 1987( Act No.39 of 1987). Consequently, The Rajasthan State Legal Services Authority came into existence on 07.07.1998 by notification issued by the State Government. (c) such number of other members, possessing such experience and qualifications as may be prescribed by the State Government, to be nominated by that Government in consultation with the Chief Justice of the High Court. (a) Provide free legal service to the weaker sections of the society. (c) Undertake preventive and strategic legal aid programmes and create legal awareness. Who is entitled for Free Legal Aid ? h) persons in receipt of annual income not more than 1,50,000. State & District Legal Aid Fund have been created for being utilised for the purposes of this Act. The Rajasthan SLSA has appointed 30000 legal services volunteers for implementation of legal aid programs. Prominent persons of the society including the Sarpanchs, NGOs and Anganwadi workers are involved in the legal literacy programs. Till 2017, RSLSA has been able to provide free legal aid to approximately 1,32,000 beneficiaries. Organisation of Lok Adalats & Legal Awareness Camps.